(Reuters) – Goldman Sachs Group Inc (GS.N) President and COO Gary Cohn defended the bank’s trading business on Tuesday, as investors have questioned the units’ slumping revenue. Cohn said there was little correlation between the average size of a bank’s fixed income and equities trading revenue and the firm’s overall return on equity, a key measure of how well it uses shareholder capital to earn profits. Goldman typically leads its peers with a return on equity of around 11 percent. But its returns during the first quarter were 6.4 percent, down from 14.7 percent a year earlier. Wall Street banks have seen revenue from their fixed income trading units decline as new regulations introduced since the financial crisis have made bond trading less profitable and more capital intensive. Goldman has stressed the bank’s commitment to trading, even as other banks have scaled back or exited the business to focus on less-volatile activities that require less capital, such as wealth management. 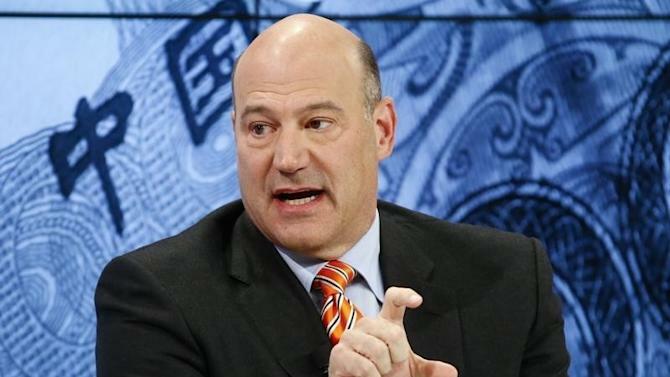 Cohn said Goldman could pick up clients from other banks that are pulling back in certain trading businesses. Goldman is increasingly focussed on soliciting feedback from clients on how its fixed income, currencies and commodities, or FICC, trading unit ranks with its peers, Cohn added. The bank is also investing heavily in electronic technology within FICC trading, which has been slower to go electronic than equities. During the first quarter, Goldman posted its worst results in more than four years as volatile markets kept clients from trading, investing or issuing new securities. Goldman’s revenue from FICC slumped 47 percent in the quarter to $1.7 billion. Equities trading revenue slid 23 percent to $1.8 billion. “The current low-growth and low-rate environment has negatively impacted our clients’ performance and our own opportunity set,” Cohn said, adding that the firm is adapting to these challenges. Goldman has reduced the amount of capital it allocates to its trading business by 25 percent from the second quarter of 2013 to the end of 2015. It has also reduced its headcount in FICC by 10 percent since 2012.